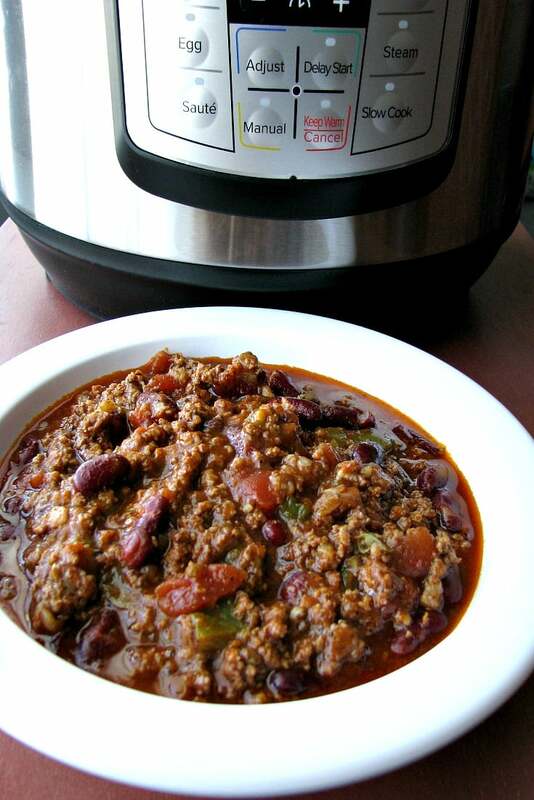 Instant Pot Spicy Chili made with ground beef, kidney beans, jalapenos, and sriracha, is an easy Instant Pot pressure cooker chili recipe perfect for cold Winter days. I know, this is my second Instant Pot recipe in a row and I just got the thing. I had planned on sharing a mushroom dip recipe this week, but it didn’t turn out like I wanted. The thing I was most excited about with my new Instant Pot is that I can brown meat in it! Having to use another pot to brown meat was the one thing that always bothered me about slow cooker recipes. I’m sure I’ll still use my slow cookers, but it’s great to know I have that ability now. Monday was a day off from school for my daughter due to Martin Luther King Jr. Day, then Tuesday and Wednesday were snow days. We got around 6 inches of snow and then it turned really cold last night, so I made this Instant Pot Spicy Chili for dinner. 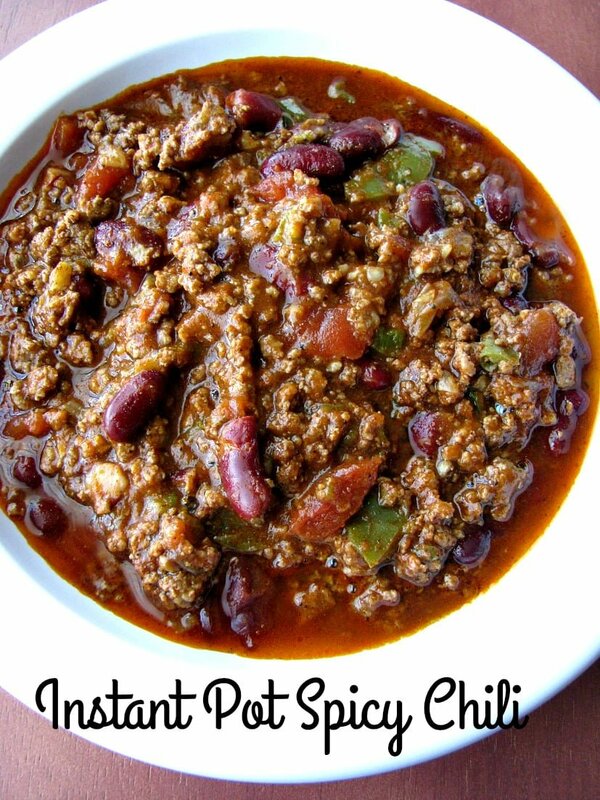 I learned how to make chili years ago so that we all like it. Donny and I like spicy, but Amanda doesn’t, so I combine all of the ingredients except any hot peppers and hot sauce first, then take out a bowl full for her before I add the spice to ours. Then I just cook her batch in a small pot on the stove for about 20 minutes while the rest cooks. 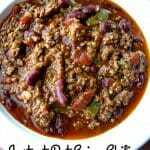 I changed this Instant Pot Spicy Chili recipe just a bit from my original Award Winning Chili. 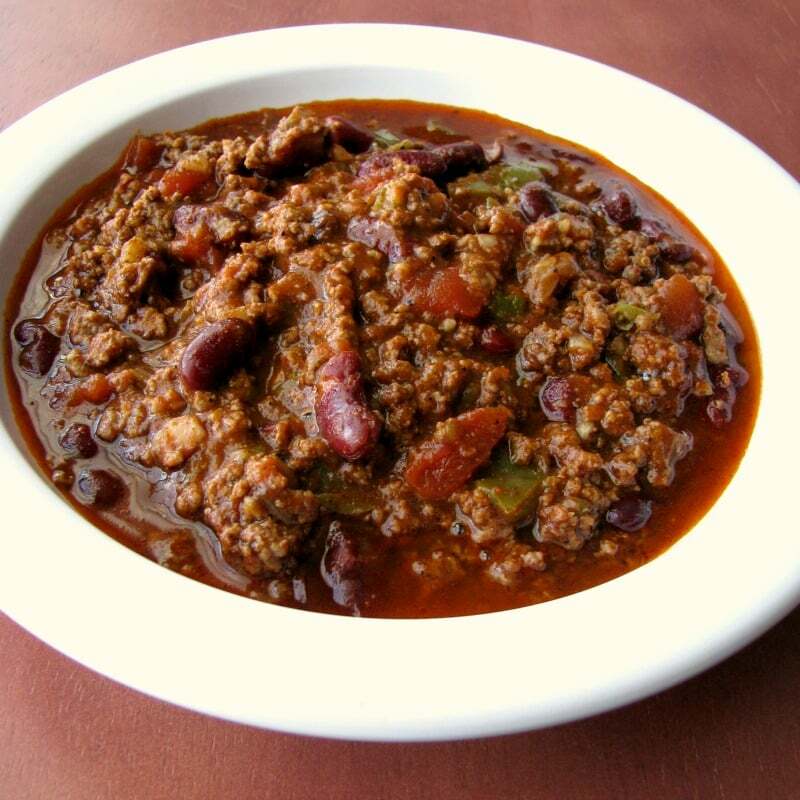 Other chili recipes I’ve made for you to try include Chorizo and Black Bean Chili, Southwest Chicken Pumpkin Chili, and Turkey Habanero Chili. Brown the ground beef on the saute setting in your Instant Pot, adding in the diced pepper and onions as the ground beef cooks. Break up the ground beef with a spoon into small pieces and stir often. Add the minced garlic in the last minute or so of browning. Once browned turn off the Instant Pot and drain the grease carefully. Stir in the kidney beans, jalapenos, diced tomatoes, V-8 and tomato juices, beer, chili powder, and sriracha. Lock the lid and use the "manual" setting to set the time for 30 minutes. My Instant Pot took 17 minutes to come to pressure, but this time will vary. Once the timer goes off, release the pressure using the 10 minute Natural Release or Quick Release option. Serve with any desired toppings (sour cream, shredded cheese) and tortilla chips for dipping, if desired. Prep time listed includes the time it takes for the Instant Pot to come to pressure, and may vary.